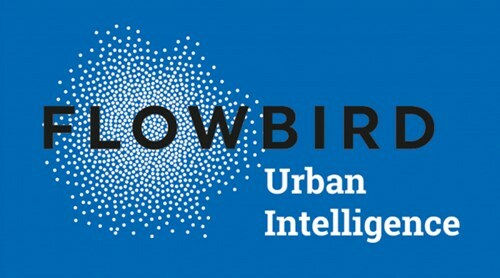 The City of Troy, New York, has partnered with Flowbird Group, the world’s leader in curbside management and urban mobility solutions, to launch a new pay-by-plate parking system throughout the waterfront and business district. As of March 20th, more than 70 Flowbird smart kiosks have been upgraded and are ready to be used by residents and visitors alike. businesses, restaurants, craft breweries and boutiques throughout the year. The upgraded solar-powered Flowbird CWT kiosks are user-friendly with a large color screen and customized interface. The kiosks function in pay-by-plate mode, instructing users to input their license plate number and parking duration. The user can then complete payment using credit cards, debit cards, or coins, and is not required to display the receipt on their dashboard. “The deployment of new parking management technologies is part of our commitment to support Troy’s downtown business district and waterfront,” said Mayor Patrick Madden. The upgraded smart kiosks are available to use on State Street north to the intersection of River and Third streets. The easternmost kiosks are on a portion of Fifth Avenue and the westernmost are along Front Street in Riverfront Park. This installation completes the first phase of upgrades to the City of Troy’s Downtown parking. In the coming months, the City will roll out additional improvements, including expanded visitor parking, striping of on and off-street parking spaces, additional on-street spaces and loading zones, wayfinding signage, and other parking options outside the current metered zones. Currently, Flowbird supports over 40,000 parking pay stations for 600 customers throughout the U.S. This project allows the company to continue its rapid expansion across the State of New York.